The National Check Fraud Center estimates check washing, a specific type of check fraud, costs Americans $815 million each year. 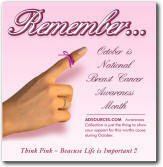 • Wrap It Up – When giving monetary gifts, avoid placing checks in the mail. If unavoidable, make sure the check is wrapped with a sheet of paper or in a card, making the check less likely to be viewed outside of the envelope. • Be Secure – Never leave mail in an unsecured mailbox. Instead, drop your outgoing mail at a post office or locked postal boxes. Abagnale says approximately 99 percent of all checks that are washed are stolen out of home mailboxes. • Beware Of Too Much Stuffing – If public mailboxes are nearly full, find another secure box to drop your mail in. Thieves prey on mailboxes that fill up during the weekend because access is easy. • Check Your Checks – Using secure checks is an important component in preventing check fraud. Highly secure checks should include at least eight safety features, including controlled paper, a true watermark, thermochromatic ink, and toner anchorage on laser checks for business use. • Leave A Lasting Mark – Use a uni-ball 207 gel pen when signing checks. The black ink in the 207 is bold and contains color pigments that absorb into paper fibers. • Examine Financial Statements – As soon as you receive bank and credit card statements, carefully make sure you purchased everything mentioned. • Invest In A Shredder – When throwing away sensitive documents, always destroy it first. Crosscut shredders are your best bet because they cut your data into tiny squares, making it almost impossible to piece your information back together. • So Many Passwords – You may be tempted to use the same password for everything, keeping things simple. Remember that if anyone cracks your personal code, access will be granted to all your personal accounts. Take the time to create unique and original passwords for all your personal accounts. • Keep Social Security Information Close – Employers, credit grantors and schools may need your Social Security number, but your grocery store’s savings club does not. When someone asks for it, ask why it’s needed, where it will be used and how it will be kept secure. • Only Carry What You Need – It’s one thing to be prepared, but you really aren’t going to need your Social Security card when you run to the grocery store. Keep any unessential cards locked up at home. • Secure The Office Front – After safely stowing your personal belongings in your work area, look into company security procedures. Talk to your boss and explain the importance of keeping personal information confidential. For more tips and information about protecting yourself against check fraud and identity theft, go to www.abagnale.com. In addition, his new book – “Real U – Guide To Identity Theft” – is now available online and at bookstores nationwide. Frank W. Abagnale is one of the world's most respected authorities on the subjects of forgery, embezzlement and secure documents. For over twenty-five years he has lectured to and consulted with hundreds of financial institutions, corporations and government agencies around the world. His rare blend of knowledge and expertise began as a teenager. More than thirty-five years ago he was known as one of the world's most famous confidence men as depicted in his best-selling book, Catch Me If You Can." He cashed $2.5 million in fraudulent checks in every state and 26 foreign countries over a five-year period. Between the ages of 16 and 21, he successfully posed as an airline pilot, an attorney, a college professor and a pediatrician. Apprehended by the French police when he was 21 years old, he served time in the French, Swedish and U. S. prison systems. After five years he was released on the condition that he would help the federal government, without remuneration, by teaching and assisting federal law enforcement agencies. 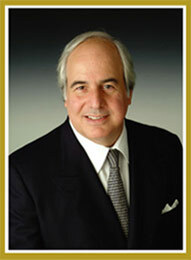 Mr. Abagnale has been associated with the FBI for over twenty-five years. He lectures extensively at the FBI Academy and for the field offices of the Federal Bureau of Investigation. More than 14,000 financial institutions, corporations and law enforcement agencies use his fraud prevention programs. In 1998, he was selected as a distinguished member of "Pinnacle 400" by CNN Financial News. 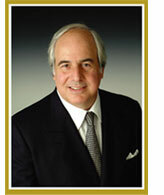 Mr. Abagnale's most recent book is "The Real U Guide to Identity Theft" available in book stores and online. He has also written "The Art of the Steal", which is available through Random House/Broadway Books. In 2004 Mr. Abagnale was selected as the national spokesperson for the National Association of Insurance Commissioners (NAIC) and the National Cyber Security Alliance (NCSA). Mr. Abagnale was the subject of a major motion picture entitled "Catch Me If You Can", directed by Steven Spielberg with Leonardo DiCaprio and Tom Hanks. "Catch Me If You Can" is currently in development for a television series to air in 2006. The series will be produced by DreamWorks Television. The story is also in development as a Broadway play and will be produced and written by Marc Shaiman and Scott Wittman, Tony Award winners for "Hairspray". Mr. Abagnale believes that punishment for fraud and recovery of stolen funds are so rare, prevention is the only viable course of action.